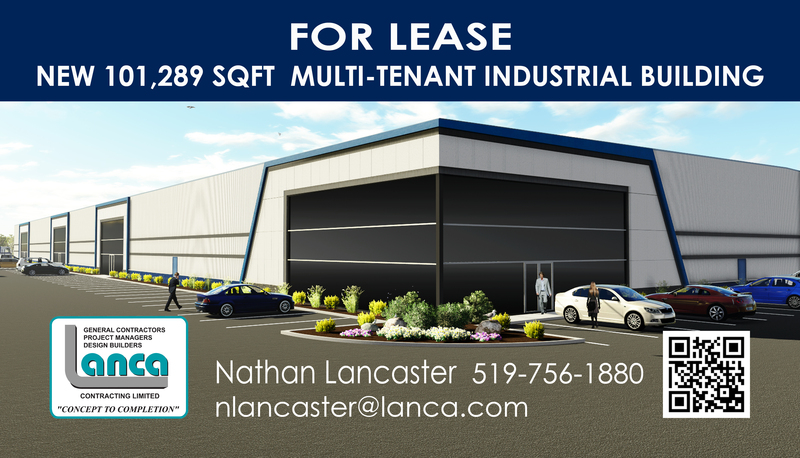 Multi-Tenant Industrial Building – LANCA Contracting Ltd.
One of Brantford’s most prestigious Multi-Tenant Industrial Building of 101,298 sq.ft. is going up on 38 Bury Court and the construction is progressing along very quickly. Units available in minimum size of 21,000 sq.ft. 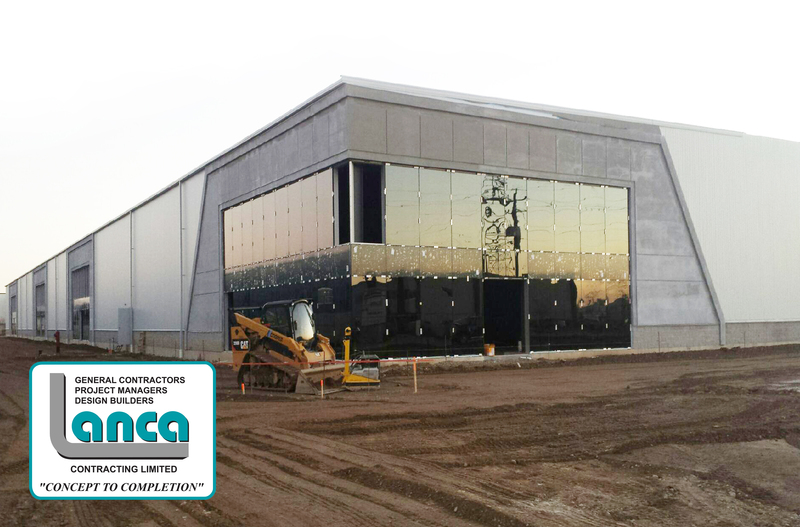 The modern curtain wall glazing will compliment the stone facade and prefinished insulated panels R30. The space is expected to be ready for occupancy by end of November 2015. 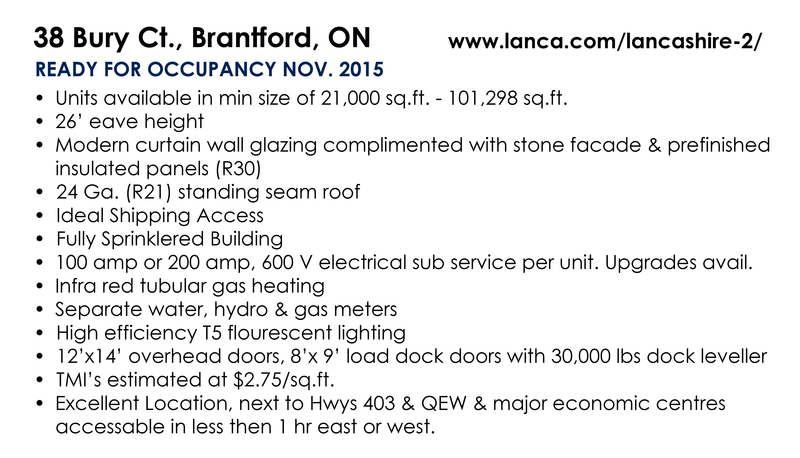 For leasing opportunity and for more information, please call Lanca Contracting Limited at 519-756-1880.